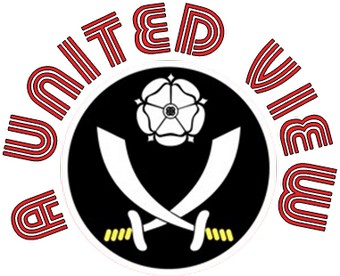 For number 6 in the series it is a pleasure to welcome Eddie Chapman (@eddiechap) Blades contributor to the We Are Going Up football league site to A United View and recollections of a Blades hero of the last decade. A player who in a relatively short spell with United madde a big impact and provided memories that will last for a long time. When I was asked who my favourite Blade was, several players came into mind but there was only ever to be one man that I would choose. I first remember going to watch games in 2000 with my Dad. Since then I’ve had strong allegiances to many players including the likes of Peter Ndlovu, Leigh Bromby and Nick Montgomery although I wouldn’t consider those my favourite player. The man I would assign this title to is a Canadian who scored many Blades’ favourite goal of recent times – Paul Peschisolido. My first real memory of Pesch was his brace in a 4-0 victory over Birmingham City in 2001. I remember how his pace ripped apart the opposition defence and he was one player the crowd always seemed to get behind. His goal scoring record was never the greatest but whenever we needed them, he was the one Neil Warnock turned to on the bench, giving him the well-earned title of ‘Super Sub’. 2002/03 was my first as a season ticket holder and the excitement of me seeing Pesch, as well as my other heroes in action throughout that season was a huge thing for me. The first real time I saw him given an opportunity that season was a game against Rotherham when he seemed to be constantly running as fast as a train in my 8 year old mind. Despite his use as a bit-part player, he was still the player I connected with the most. Of course, everyone who was there will remember the “Oh my God” moment in the play-offs until their final days. They’ll also remember the agony of David Seaman’s last gasp save in the dying moments of the semi final with Arsenal. The thing I remember most is finally meeting the man whilst in the Player’s Lounge after a 0-0 draw with Ipswich. To say I was star-struck is a massive understatement and that day I left the ground with a new shirt and some signed photos of the players for free, all thanks to Pesch, Andy Daykin and my old man. For months I wanted ‘Peschisolido’ on the back of that shirt but my Dad’s answer was always the same, it would be too expensive! It’s a shame his name wasn’t shorter but on the other hand, his long and unusual name was part of what I liked about him. Even to this day I’m not sure whether it was his pace, the effort he put in or simply his name that made me want him to do better than any other player on the pitch, but even as a manager I will always respect him and I hope he finds a job soon. That goal against Forest, forcing that save from Seaman and his brace against Palace in the League Cup alone was enough to make Pesch my favourite Blade but overall I think it was his attitude and the way he spoke to me in the Player’s Lounge that really made him the best player in my eyes.